Autumn comes and somehow cools down the extreme heat of summer. It’s time for the trees start to drop their leaves. Your green lawn also needs more attention and care in this time, so that it can withstand and overcome the upcoming winter. The cool weather is quite suitable for taking care of your lawn. 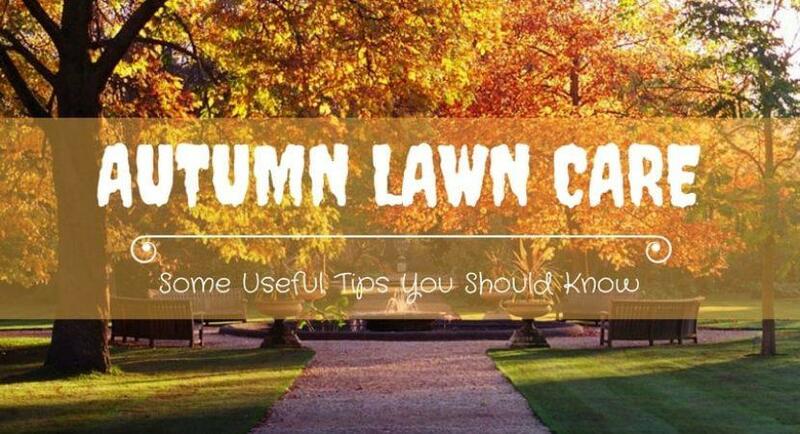 If you have a plan for your lawn this autumn, the following tips will be especially useful. 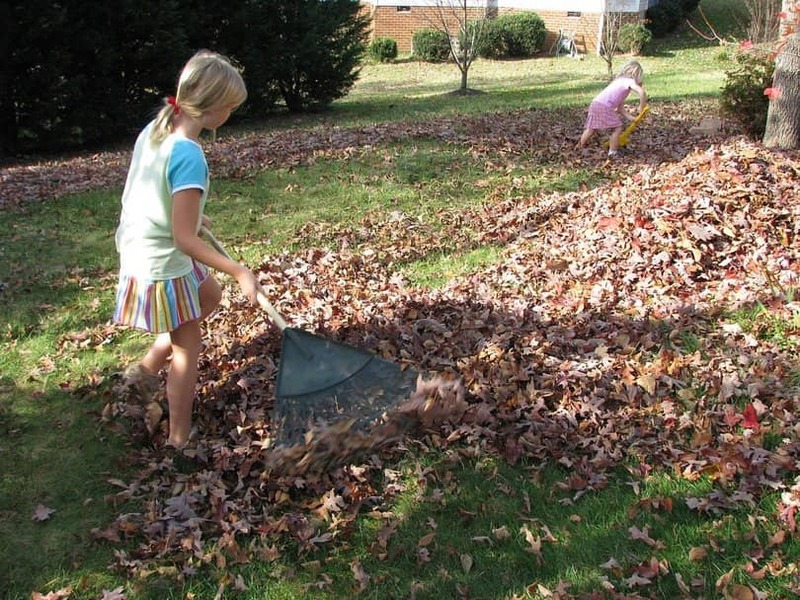 It is still necessary to carry out mowing activities on your lawn throughout autumn. This helps to ensure the good shape of your lawn. However, keep in mind that the height of the blade should be adjusted appropriately so that you are not going to cut the grass too short. Mowing the grass lower than one-third of its height will bring more harm than good as most of the green part, which is indispensable for photosynthesis, has been removed. Sharpening the mowing blades before you mow will help to save your time, your effort, and prevent the lawn from being shredded off. As you almost finish mowing and store the mower over the winter, for the last two mowing sessions, the blade could be set lower than usual, so that sunlight can contact the lowest grass and encourage its growth. A lower cut also means less green parts will turn brown during winter. Drought and heat of the summer together with human activities on a green lawn often result in compacted soil, which will prevent grass from growing well. Autumn should be the time for aeration to allow more air, water and nutrients to get down to the grass roots. Please remember to moisten your lawn the day before you aerate. Too wet or too dry soil will not bring about good aeration results. If you have a small yard of lawn, it may be ok to aerate with a spike aerator; however, a core aerator will perform this task more effectively. But, be careful when operating it so that you will not damage the lawn. The grass roots will breathe better, grow stronger and deeper after aerating, so that they will be able to sustain the severe cold of winter. Due to the compacted soil, some parts of your lawn, which is sheltered from the sun and frequently soaking in water, may become a good environment for moss and weed to grow. Excessive growth of moss and weed will certainly suppress the growth of grass. Then you have to deal with them to save your lawn. It’s not a big deal to remove moss or weed. You can mix moss or lawn weed ﻿killers or herbicides in water while watering your lawn. Don’t apply these chemicals to the lawn in hot weather. Wait for some cool down days when the temperature is less than 80◦F. Once the lawn is watered with such chemicals, after a short period of time, the moss will turn black, and it is the time to rake them. The area which is previously occupied by moss or weed should be sown with new lawn seeds. The key to prevent moss or weed from invading grass is proper drainage. 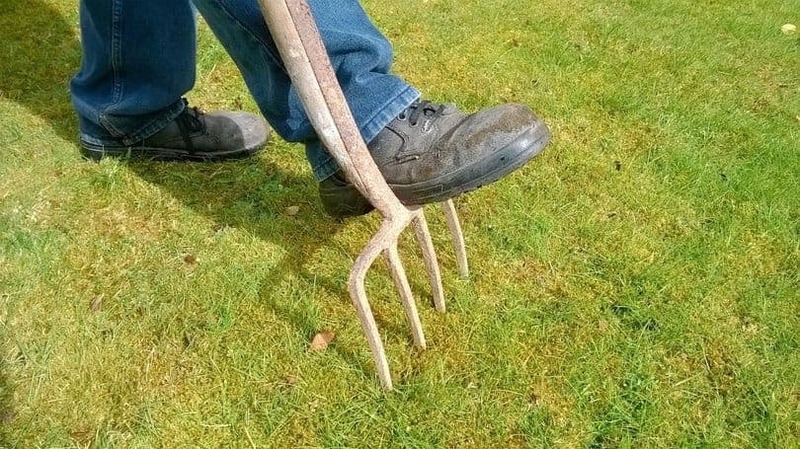 You should aerate the soil as mentioned above so that water can penetrate well into root grass rather than get stuck on the surface and become a favorable environment for moss to grow. Let the grass be exposed to more sunlight by removing the shades, which were made up of tree branches. Cutting some low branches if necessary so that the lawn is well reached by the sun. Thatch is the layer of dead or alive stems and roots that stay between the soil surface and green part of grass. So, the leaves falling on the lawn in autumn may build up a thick layer of thatch. A thin layer of thatch is beneficial to the lawn as it insulates the grass root from extreme heat. However, a thick layer of thatch may prevent water from reaching the lower soil where the root stays, and wet thatch may become a great environment for disease-spreading organisms. You can deal with thatch by using a tine rake, a core aerator or a mower, which is attached with thatch removal equipment. For the preventive method to control thatch, first, you need to consider the selection of grass; some may grow aggressively and produce more thatch than others. Second, pay attention to fertilizing. Sufficient amount of fertilizers is desirable for grass growth, and over fertilizing may cause more thatch build up. Rich in phosphates and potassium fertilizers will encourage root growth, while rich in nitrogen fertilizers boost leaf growth. When it comes to fertilize your lawn in autumn, it is best to choose rich in phosphates and potassium one. The reason is simple. Tender leaves can hardly survive from the cold hit of winter while well-developed roots can sustain the extreme weather. 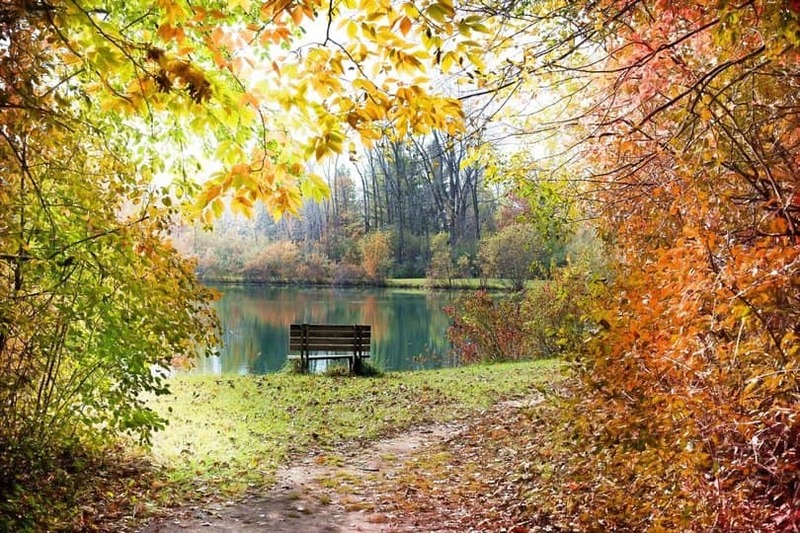 For all those things you have done to your lawn in autumn, your lawn will sustain and survive well during winter time. As you have invested time and effort in caring for the lawn, it will get back stronger and more beautiful the next spring. A green and healthy lawn will be the reward of your effort.